What drove me to write The Lucas Rocha Thriller Series? It was 1987 and I was in the midst of developing a global distribution network for my employer, The Middleby Corporation. I had already logged over a million miles and visited roughly half of the 67 countries I would ultimately develop. My Latin American rep, Juan Cobo, was to meet me on my very first stop ever in South America. The flight landed at 6:00am the week before Carnival in Rio de Janeiro. After cabbing to Hotel Caesar Park, I walked out toward Ipanema Beach to take in the sights. Garbed as a typical tourist, with a camera slung around my neck, I saw a street kid toss some dust across my shoes and then ask me in very broken English if I wanted a shoeshine. He smiled, flashing his cracked teeth when I said, “Sure.” He furiously snapped a greasy cloth across my shoe tops, exposing a muscular back under his torn plaid shirt. Other kids gathered around, and when he finished, I pulled out my money clip to pay him, and he snapped it from my hand like a snake strikes its prey. I was a triathlete at the time, and although he tried to run away from me, lateraling the money to other kids, I bore down on him until he ran into a dead end. Cornered, he pushed an elderly lady down and tossed the money clip into the air, while running away through the gathering crowd. Panting for air, I picked up my money clip from the pavement and helped the woman to her feet. To my surprise, the woman sternly lectured me saying, “Don’t ever feed the rats. You only make the problem worse!” For business, I would travel to Brazil several more times and would never cease to be awed by Rio’s rich culture, and the irony that the one-million people living in dire poverty in the favelas had the greatest views of its majestic scenery: a Honolulu on steroids with Christ the Redeemer forgiving all the sins committed below. I was so impacted by that incident, I ended up writing a musical about the incident and recorded it in the 90’s. Fast-forward to October 2, 2009 the International Olympic Committee awarded Rio de Janeiro the 2016 Summer Olympics. An avid follower of events in Rio, I was flabbergasted that the local government planned to clear out many shantytowns in the hills to make way for the Olympic villages and event facilities. 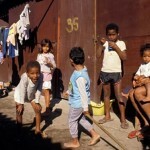 One roadblock: every shantytown, known there as a “favela”, is ruled by a drug lord. It compelled me to write a fictional thriller about what a street kid would do to protect his little sisters amidst the turmoil that has resulted. 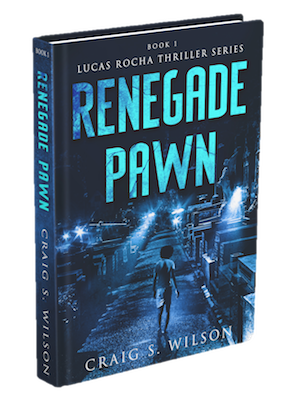 Book I: Renegade Pawn is soon to be available. In the meantime, you can download the first 6 chapters pre-release! CLICK HERE.